One of the most subtle, but effective ways to enhance marketing your business is the slogan. Get it right, and you’ll capture hearts to the tunes of millions if your product stacks up as good as your slogan. Even if you don’t get it right on the first try, you’ve created curiosity—a conversation starter that can help you introduce your product to people whose lives it could improve. Just ask any cow. Remember “Got Milk?” That two-word slogan created a revolution in the beverage industry. Now it adorns everything from billboards to T-shirts—and has inspired hundreds of knockoffs. If you are not creative, you might consider hiring a professional that can come up with a slogan that will brand your business. At the very least, such a talent will help you get your own creative juices going. When you come up with some ideas, toss them out there to a few carefully-chosen people for their opinion. Of those slogans that come out on top of your informal survey, choose the one that you think will do a more effective job of creating an indelible image in the minds of potential customers. If it is catchy and it conjures up an image of your brand, it’s a winner. Choose the one out of all those that will best pique public curiosity. Next, create a way to promote your brand with that slogan. Use it as your signature in every email you send. You would be surprised at what even such a subtle message can do. That’s just the beginning. Use your new slogan to pique the interest of your Facebook fans. Hashtag it for Pinterest and Twitter—and post information that will help your customers conquer some of their challenges along with your slogan. After all, creating solutions for your customers is what business—any business—is all about. Post photos that illustrate your brand with your new slogan as the caption. Ask your best customers and fans to post their own photos that illustrate your slogan. Even better, create a contest on Facebook or another social media site. 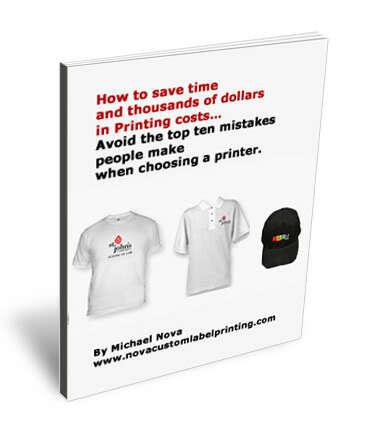 Offer some merchandise or services to those who best help you market your business by their creative use of your new slogan. Not only will you get some great publicity for your new slogan out of their efforts, but you will also get your goods and services into the winners’ hands for some free word-of-mouth advertising. Slogans work great on wearable advertisements such as T-shirts, hoodies, scarves, and other apparel. With people walking around town with your slogan on their backs, you will create plenty of buzz about your brand. The catchier the slogan, the more questions people will ask. What a great opportunity for you and your employees to engage in conversations about what you have to offer your customers! Give these wearable advertisements away to your employees, your best customers, to potential customers, and to curiosity seekers to create more conversations around town about your product. Again, there is no better way to make your business stand out than to stir up curiosity. By creating a memorable slogan, you will do just that. By putting that slogan out there on carefully-selected promotional material, you will put your brand at the forefront of your industry. Just ask the cows.